The San Diego sofa bed is available in standard dimensions or can be custom made according to your needs. Shop on-line or in one of our showrooms, our furniture consultants are ready to assist you. 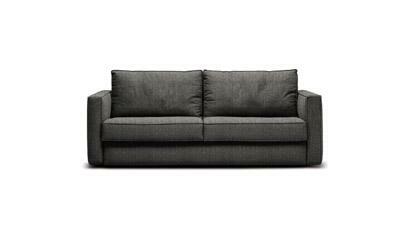 Aesthetic elegance and obvious convenience describes, San Diego, the sofa bed by Berto Salotti. If you are looking for a sofa with clean lines, San Diego is distinct, almost iconic, perfect for the living room but at the same time will ensure a great night's sleep, thanks to its unique structure and orthopedic spring mattress or a poly-latex foam with removable slip cover. A team of professionals makes the San Diego sofa bed.